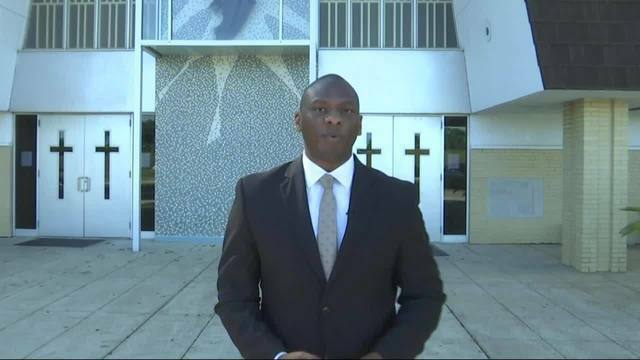 MONTGOMERY, Ala (WIAT)- One Alabama lawmaker wants you to be able to protect yourself and others inside a church. "The Alabama Protection Act" would allow churchgoers to defend themselves with guns at church. Republican representative Lynn Greer's bill would prevent someone who uses deadly force in church as a means of protection from being criminally or civilly charged. "It just something that we are having to face, that I never dreamed of in my lifetime we would face, but that day has arrived." Greer says he proposed the bill at the request of churches in his district. "I'm on the Tennessee border; in Tennessee we had an incident in a church that really upset some folks in North Alabama." Father Manuel Williams with Resurrection Catholic Missions says guns have no place in church. "The deeper issue that our legislators should be addressing is the gun culture, the fomenting of racism, antisemitism and Islamophobia." Following the deadly shooting at Emanuel African Methodist Episcopal Church in Charleston, South Carolina, Father Williams was given suggestions by the Department of Homeland Security, on how to protect his church. "Take note of people who aren't normally there, take note of people who are acting a little different or strange. This is not targeting people who are mentally ill, but people who look suspicious."